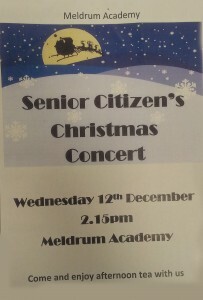 Oldmeldrum Academy Event for Senior citizens. Please call the academy on 871300 for details and places. Previous Previous post: Tarves Friendship Club – 21st November – Speaker: John Thomson on the Poppy Appeal.